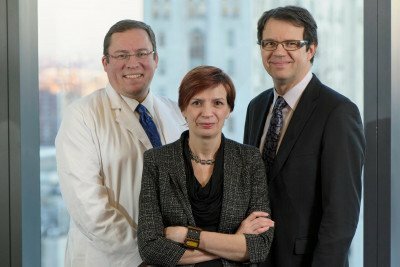 A new Memorial Sloan Kettering study evaluating a cell-based immune therapy to treat an aggressive form of leukemia reports that 88 percent of patients responded to the treatment. It is the largest study to date to evaluate this treatment for adult patients with B cell acute lymphoblastic leukemia (ALL), a rapidly progressing form of blood cancer. ALL is a disease that often returns, or relapses, after initial treatment with chemotherapy. At that point, patients are often resistant to additional chemotherapy and are poor candidates for bone marrow or stem cell transplants, which are usually effective only if the disease is in complete remission. The new treatment, known as targeted immunotherapy, is aimed at instructing the immune system to recognize and attack tumor cells. The approach involves removing a type of white blood cells called T cells from patients and introducing a new gene into the T cells that enables them to recognize the cancer. After the gene is transferred and expressed, the T cells are infused back into the patient, where they multiply and cause a variety of immune responses aimed at attacking the cancer cells. Michel Sadelain, Director of Memorial Sloan Kettering’s Center for Cell Engineering and a senior author of the study, developed the technique. Over the past decade, Drs. Sadelain and Brentjens, along with Isabelle Rivière, another senior author of the study and Director of Memorial Sloan Kettering’s Cell Therapy and Cell Engineering Facility, and other Memorial Sloan Kettering researchers, have investigated this approach. The researchers report in the current study that 14 of 16 total treated patients responded to the new therapy. The majority of these patients either already had or eventually will undergo follow-up stem cell transplants. However, some patients are not able to undergo transplants because they are not well enough, and others choose not to have additional treatment. He adds that cell-based immune therapy could eventually become the new standard of care, allowing patients to avoid transplants altogether. In addition to reporting outcomes for the 16 patients, the study looked in detail at the most common side effect of the treatment, known as cytokine release syndrome (CRS). CRS occurs when the engineered T cells reach the cancerous cells and release proteins called cytokines, which the T cells use to fight the leukemia. Symptoms of CRS include high fevers, low blood pressure, and changes in mental status such as confusion or agitation. In November 2013, Drs. Sadelain, Brentjens, and Rivière co-founded a new biotechnology company called Juno Therapeutics. The Seattle-based start-up is aimed at speeding the development of novel immunotherapies for cancer. Memorial Sloan Kettering currently has trials under way evaluating cell-based immune therapies in chronic lymphocytic leukemia, B cell non-Hodgkin lymphoma, prostate cancer, and the pediatric form of ALL. Additional trials are planned for other types of cancer, as well as a phase II study for B cell ALL, but it is too early to say when those studies may be open to patients. This research was supported by the Terry Fox Foundation, the American Society of Hematology-Amos Medical Faculty Development Program, the Alliance for Cancer Gene Therapy, the Carson Family Fund, the Major Family Fund for Cancer Research, Joel and Yvette Mallah, the Lewis Sanders Fund, the Damon Runyon Cancer Research Foundation, Kate’s Team, Mr. William H. Goodwin and Mrs. Alice Goodwin and the Commonwealth Cancer Foundation for Research, and the Experimental Therapeutics Center of Memorial Sloan Kettering. Will it work on Mutiple myeloma ? William, there are currently no trials to evaluate this approach in multiple myeloma. If you’d like to learn about the trials that we do have for multiple myeloma, you can go to http://www.mskcc.org/cancer-care/clinical-trials/clinical-trial?keys=&f…. To make an appointment to speak with a Memorial Sloan Kettering doctor, you can call 800-525-2225. Thank you for your comment. I am writing on behalf of my husband who has Triple Hit Diffused Large B-Cell Lymphoma. I want to know if he would benefit from this trial? He has exhausted chemo therapy. Cheryl, there is a trial evaluating this mode of therapy in some patients with B cell lymphoma. To learn more about the trial, you can call our Physician Referral Service at 800-525-2225 or go to http://www.mskcc.org/cancer-care/appointment for more information on making an appointment. Thank you for your comment. Since 2011 my wife was diagnosed with Acute Lymphoblastic Leukemia and she was treated with several protocols with chemoterapy, but she didn't reach more than 6 month of remission. At this time, she's again on treatment with new chemoterapy but I'm afraid she does not respond this new treatment. On the begining of the treatment she had serious problem with infection by fungal on both lungs, and till now she takes every day antifungal medicin (itraconazol). Is it possible to treat in this case with this new therapy? Gelson, unfortunately we are not able to answer personal medical questions on our blog. To find out about being treated for ALL at MSK, you or your wife can call 800-525-2225 or go to http://www.mskcc.org/cancer-care/appointment for more information on making an appointment. Thank you for your comment. My husband has been treated this past year for high grade MDS with Vidaza. I just heard about this new treatment and would like to know if it might be applicable to patients with MDS. 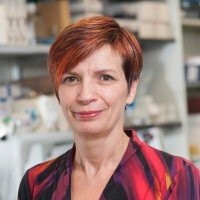 Cecile, the modified T cell therapy is not currently being evaluated for MDS. If you would like to make an appointment to speak with a Memorial Sloan Kettering doctor about treatments that might be right for your husband, you can call 800-525-2225 or go to http://www.mskcc.org/cancer-care/appointment for more information. Thank you for your comment. Is targeted immunotherapy given in conjunction with chemotherapy regimes or in place of them? Is there a pediatric trial in progress? Are these trials being conducted at other centers? UK? Australia? Mel, thank you for your questions. We checked with Drs. Brentjens and Sadelain, and they said that patients in the trial receive additional salvage chemotherapy followed by the T cell therapy. There is one pediatric trial open for ALL. You can find information about the protocol on our website at http://www.mskcc.org/pediatrics/childhood/pediatric-leukemias/clinical-…. These trials are not being conducted in the UK or Australia right now. There are plans for a trial in the UK, but it will not be ready to open for some time. My cousin is a 68 year-old female who is in good health except for cancer. She had breast cancer, chemotherapy and a double mastectomy. Now she has non-small cell stage 4 lung cancer. Can this T-cell therapy be used for this cancer? Can you help her? We are desperate to prolong her life. Brigitte, there are plans to eventually test this therapy in lung cancer, but we don’t know when those trials will begin. To learn about trials that Memorial Sloan Kettering currently has open for lung cancer, you can go to http://www.mskcc.org/cancer-care/clinical-trials/clinical-trial. If your cousin would like to make an appointment to speak with a Memorial Sloan Kettering doctor, she can call 800-525-2225. Thank you for your comment. I am suffereing from colorectal cancer. Is there a possibility that this new therapy can be applied to the cancer cells responsible for colorectal cancer. Also, your description of the side effects of this new therapy appear to be somewhat confusing. As to the severity of the side effects and how to control the side effects. Can the side effects result in terminal conditions? Any idea of what the long term effects of introducing this enhanced T-cell into the body; will it create a brand new type of cancer cell even worse than the one it is attempting to kill? In the case of a patient with a cancerous tumor, would this type of therapy not only kill all cancer cells but also remove the need to surgically remove the tumor? And lastly , does this new type of surgery shed any light on finding an actual cure to cancer; preventing the original creator of the cancer cell from creating the cancer cell? George, thank you for your questions. There is not currently a study to evaluate the modified T cell therapy in colorectal cancer. In the studies that have been done so far, the side effects from the treatment were treatable and reversible. Because this research is at an early stage, it is too early to know what all the long-term effects will be and whether this therapy will be effective against solid tumors. It is also too early to know whether this treatment will ultimately result in a cure for any type of cancer. I have a friend who is suffering from metastatic breast cancer. Is there a possibility that this type of therapy can be adapted to breast cancer? Patrice, this type of immune therapy is not currently being evaluated for breast cancer, but it’s possible that it will be in the future. If your friend would like to learn about current trials for metastatic breast cancer at Memorial Sloan Kettering, she can go to http://www.mskcc.org/cancer-care/clinical-trials/clinical-trial. Thank you for your comment. I thank you and further encourage you to carry on this impressive work. My father is currently struggling with recently diagnosed AML. Is there a trial in the works for AML using this technique? If there's not one in Sloan Kettering, do you know of any place in which they are currently performing (or planning) one such trial? If you would like to make an appointment to have your father consult with one our specialists and learn whether he is eligible for one of our trials, please call our Physician Referral Service at 800-525-2225. Thank you for your comment. I am currently in early 50 and was diagnosed with PH+ CML 4 years ago and currently in completed remission with just a medication (Tasigna). I was told I would have to be on the medication for rest of my life. Is there a plan to expend T-cell treatment for CML patience as well? If you would like to make an appointment with one our specialists, please call our Physician Referral Service at 800-525-2225. Thank you for reaching out. Thank you very much for speedy response. I will definitely check out the link. I was diagnosed in Dicember 2011 with All Ph+. After taking Sprycel and two induction chemoteraphy, I underwent BMT from HLA-identical related donor in July 2012. I did not have a complete molecular response and, after three months taking Ponatinib (Iclusig), I was relapsed in December 2013. Now, after another chemo, I’m waiting to receive DLI infusion. Can this new treatment works in the case of ALL-Ph+ patients after BMT? Sonali, the cell-based therapy described in this article is not currently being evaluated in sarcoma. If your husband is interested in participating in a clinical trial, he could speak to his MSK doctor about what options might be available. We do have several trials for Ewing sarcoma. Thank you for your comment. Is your approach is usefull too for patients with T cell acute lymphoblastic leukemia (ALL)? Mehdi, this approach is currently being evaluated for the B cell subtype of ALL but it has not been tested for the T cell subtype. Thank you for your comment. My dad just been diagnosed with ALL B with Philadelphia chromosome (Ph) , he's 60 years old. Is your approach usefull for him? Could he be a part of the trial? Finally have you got a list of the clinical trials you have open for patients with ALL? Izabela, at the link below is a list of clinical trials at MSK to treat ALL, along with contact information for each trial. To learn more about the trials, you can also call our Physician Referral Service at 800-525-2225 or go to https://www.mskcc.org/experience/become-patient/appointment for more information on making an appointment. Thank you for your comment. I am writing to you about my cousin Marc in Poland. He is 60yrs.old with Acute Lympholastic Leukemia.ALL typeB. He is undergoing chemotherapy in Poland at this time which the doctors say is not helping.The Polish doctors say there is no other treatment for him. Iam wondering if you could review his record and recommend any other type of treatment.How much would a consulation cost? Would he need to come to New York in person? or would his records be enoough? Margaret, if your cousin would like to arrange having his records reviewed by a Memorial Sloan Kettering doctor or explore the possibility of getting treatment at MSK in New York, he should contact our Bobst International Cancer at 1-212-639-4900 or international@mskcc.org, or go to http://www.mskcc.org/cancer-care/international-patients for more information. They will be able to answer questions about the cost of consultation. Thank you for your comment. I have MDS and about to go under a second bone marrow having been treated with three transfusions two months after having recieved two. And have felt great since. I have been treated with single transfusions prior to this time approx. every four months. I did go no an extended trip driving about 3000 miles for three weeks. Is there any new treatments for MDS? I am 69 yrs. old, a heart pt., 4 CABG in '91, vascular surgery bilat. of lower extremities. I am in good health otherwise with no problems other than my MDS. recent heart cath. revealed my CABG was ok. Please advise what may be available to me at my age. Thank you. David, unfortunately we are unable to answer specific medical questions on our blog. If you would like to make an appointment with a Memorial Sloan Kettering physician, please call our Physician Referral Service at 800-525-2225 or go to http://www.mskcc.org/cancer-care/appointment. My wife involved by ALL-T cell from 6 months ago. she is under chemotherapy and want to do stem cell transplantation but we couldn't find matched donor. I asked before for usefulness of your approach for T-cell and you answer that "it has not been tested for the T cell subtype". we are ready to do this approach on my wife. Can you do it? Dear Mehdi, we are sorry to hear about your wife’s diagnosis and not being able to find a matched donor. Unfortunately, we cannot answer personal medical questions on our blog, but would encourage you to call our Physician Referral Service. The staff there can answer your questions and, if you are interested, make an appointment for your wife to see one of our specialists to give her a more-personalized examination and assessment of her treatment options. The phone number is 1-800-525-2225. Are you currently accepting new patients to participate in this trial? Is this targeted therapy trial being studied at MD Anderson? My husband has Bcell ALL, Phil Chromosome Pos. - he is currently in remission. We have been to MD Anderson and he is not a candidate for BMX, due to pulmonary and kidney damage from the chemotherapy. We are very interested in this new therapy. Would we need to be evaluated before he relapses? He is only 54 yrs old. Dear Lisa, thanks so much for reaching out. You can see our listing of clinical trials for ALL here: http://www.mskcc.org/cancer-care/clinical-trials/clinical-trial?keys=&f…. Our appointment specialists can provide you with more details about available therapies and appointment details. The number is 800-525-2225, and you can call during regular business hours. Thanks again and we’re wishing you and your husband the very best. I have a friend who has been dx: B cell / CD-22 ALL in 2014. They are chemo resistant, rec'd Blinatumomab 21 days IV infusion and not successful. They have completed their 3nd weekly dose of Inotuzumab Ozogamicin . We do not know if IO was successful. If he doesnt respond to IO , we are told by Oncologist there is no other tx options available. Should we reach out to MSK or except terminal end. Unfortunately, we are unable to answer specific medical questions on our blog. If your friend would like to make an appointment with a Memorial Sloan Kettering physician for a consultation, he can call our Physician Referral Service at 800-525-2225 or go to http://www.mskcc.org/cancer-care/appointment. Thanks for your comment. My father (75 years old) has been diagnosed with MDS 2 years ago. Current diagnosis RAEB-2 progressing to AML. He has been on Vidaza, Decitabine, and is now on a clinical trial that he doesn't seem to respond to. Can you please advise if there are any trials at Sloan Kettering for patients with MDS RAEB-2/AML ? 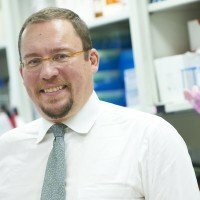 Michael, to find a list of clinical trials for MDS, you can go to https://www.mskcc.org/cancer-care/types/myelodysplastic-syndrome/clinic…. Several of them are also for AML. If your father would like to make an appointment at MSK, he can call 800-525-2225 or go to https://www.mskcc.org/experience/become-patient/appointment for more information on making an appointment. Thank you for your comment. My wife, who is 69 years old, has B-cell ALL. Are there continuing trials of the T-cell ALL treatment that would be available to my wife. 800-525-2225 or go to https://www.mskcc.org/experience/become-patient/appointment. Thanks for your comment. What about cmml? Is this something it could also work for or is it completely different? Lori, the modified T cell approach discussed in this article is not currently being evaluated in chronic myeloid leukemia at MSK, but we do have other trials underway looking at experimental approaches for that form of leukemia. If you’d like to learn more, you can call 800-525-2225 or go to https://www.mskcc.org/experience/become-patient/appointment for more information on making an appointment. Thank you for your comment. My friend’s son, a 15 yr old boy in China was diagnosed as Acute Lymphoblastic Leukemia (early PRE B-ALL), high risk, CD34+, CD19p+，CD20(-) in March 2014. In December the same year, he was treated by allogeneic bone marrow transplantation (biological father, 4/6 HLA match), bone marrow complete response after transplantation. However, AML relapsed this year in May. We have viewed https://clinicaltrials.gov and https://www.mskcc.org/cancer-care/clinical-trials/search, unfortunately, there is no on-going clinical trails for his condition. We’d like to kindly ask your suggestions and can you do CART for this child? Patricia, we’re sorry to hear about your friend’s son. If they would like to speak with someone at MSK about what treatment options may be available for him, they can contact our Bobst International Center at international@mskcc.org or go to https://www.mskcc.org/experience/become-patient/international-patients for more information. Thank you for your comment. I know a 4 year old little girl that was diagnosed w/ALL and did 2 to 2 1/2 years of chemo/RT. Her last chemo treatment was in 4/2016 was in remission until 7/2016 when she relapsed. She underwent chemo again but it did not work. The family elected to undergo holistic therapy which was working and doing well and then her calcium levels started to spike and now she is undergoing a new type of treatment. I asked the parents about this kind of treatment as being an option but they said that her "markers" don't allow her to qualify for this kind of treatment. What kind of markers are needed in order to qualify for this kind of treatment? Unfortunately, I only know that it is resistant form of ALL, I apologize as I don't know the specifics of her diagnosis. Any help or information you might be able to provide would be greatly appreciated. Hi Brian, we’re sorry to hear about your friends’ daughter. MSK’s trial using modified T cells for ALL in pediatric patients requires that the cancer cells express a protein called CD19. If the cells don’t have this protein, then the modified cells will not be able to find the leukemia cells in the body and will not be effective. Thank you for your comment. Best wishes to your friends and her daughter.